Christine has been an RVT for 6 years and is going on her 14th year working here at St. Vital Veterinary Hospital. 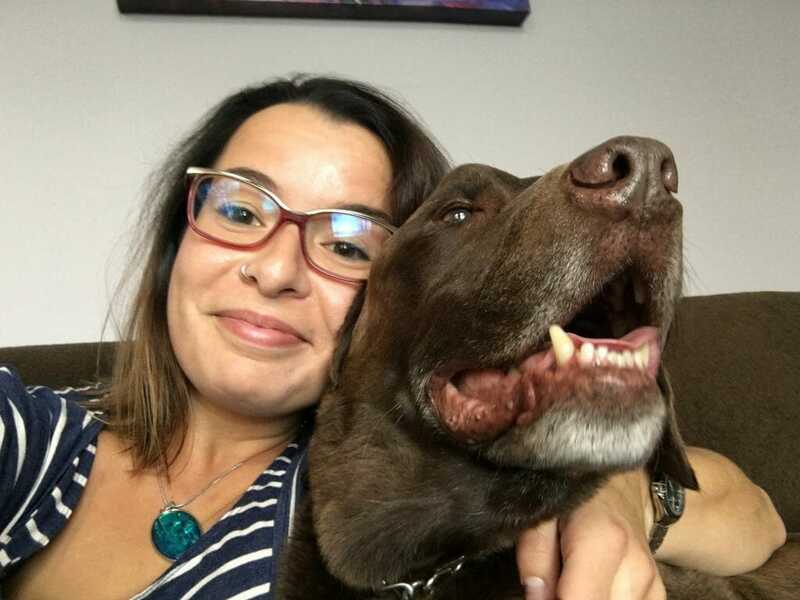 She shares a home with her husband, 4 cats (Levi and Buffy were taking as strays off the street and Lux and Dorian were adopted from the Winnipeg Humane Society) and their newest addition, Hawksley, a yellow Labrador Retriever. On her spare time, Christine is passionate about gardening. Tending to a large vegetable garden and multiple large flower gardens on their rural property is her other full-time job. Eventually, Christine and Jordan plan to have a hobby farm, where they can take in farm animals in need of sanctuary.